Doto coronata is a very small slug that is easily overlooked unless you know where to find them. It has a translucent to white body with tiny red to purple spots and very fine white speckling in the tip of the rhinophores. It has cerata-like gills, encircled by 3 or four rows of tubercles, each with a spot on the top. Unassessed by the IUCN Red list, but only locally common. It is spread throughout the Atlantic and the colder parts of the Mediterranean. Crown dotos can be found from the Northeastern Atlantic to the Western Mediterranean. 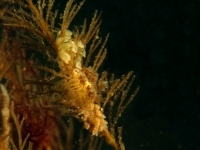 They prefer the intertidal zone and are often seen on campanularid hydroids (such as Obelia geniculata , Dynamena pumila , Sertularia argentea , S. operculata and S. cupressina . ), in a depth range of 0-10 meters. Nudibranchia are simultaneous hermaphrodites, both male and female the same time. Whatever individual penetrates the body wall first decides which is male and female. Subsequently eggs are laid in a mucus sheet (as shown above). 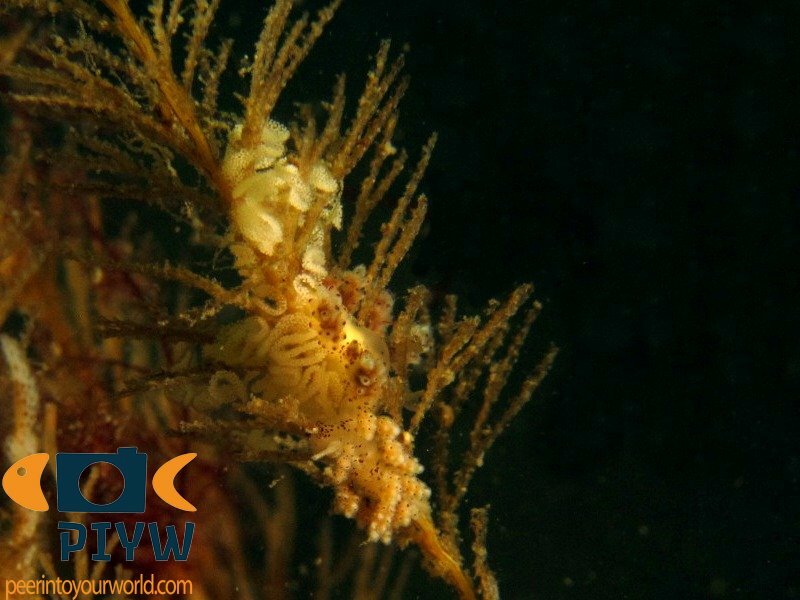 They feed on Obelia hydroids amongst others. Because they are so tiny they are best found by looking for the hydroids they eat.